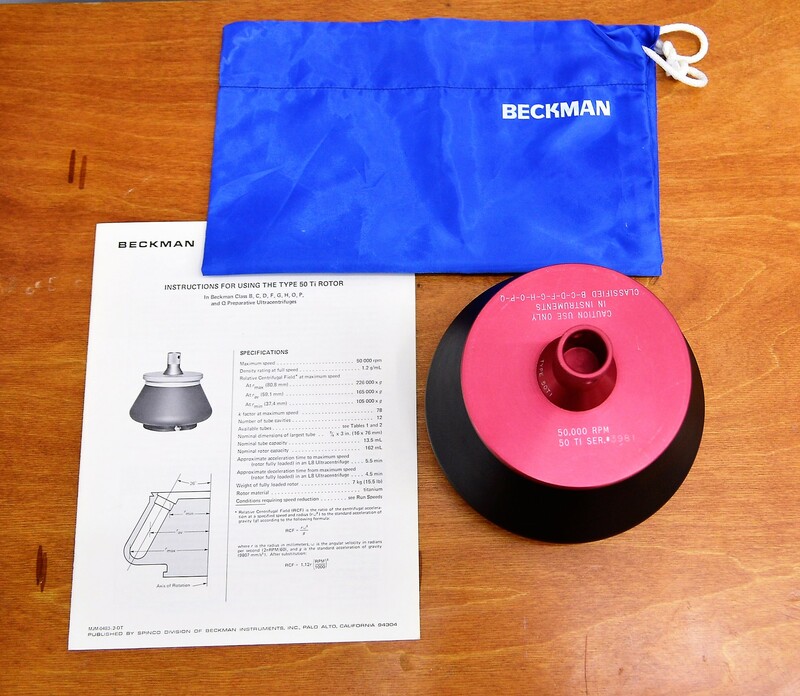 Beckman Coulter Type 50 Ti Ultracentrifuge Centrifuge Rotor 50000 RPM Titanium . New Life Scientific, Inc. This titanium Type 50 fixed angle rotor is in great cosmetic condition and was tested in an ultrafuge. The rotor has a capacity for (12x) 13.5 mL test tubes and it includes the lid, locking handle, and vintage storage bag. The technician confirmed that this used rotor achieved up to 50,000 rpm during testing.